This book investigates the interactions between different shifts in innovation models. It underlines ecological conditions and production intensification in the agriculture sector. In total six innovation processes were analyzed in different countries such as Burkina Faso, Cameroon, Haiti, Madagascar and Senegal. 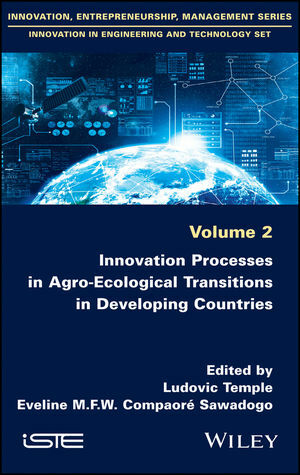 The similarities between these case studies are that they all demonstrate that sustainable and sufficient network between actors of the innovation are particularly useful for the development of agricultural innovation systems. The different papers demonstrate that there is a need for more commitment of public policy in innovation processes. Eveline Compaoré Sawadogo, Institute for Environment and Agricultural Research (INERA Burkina Faso), Burkina Faso.